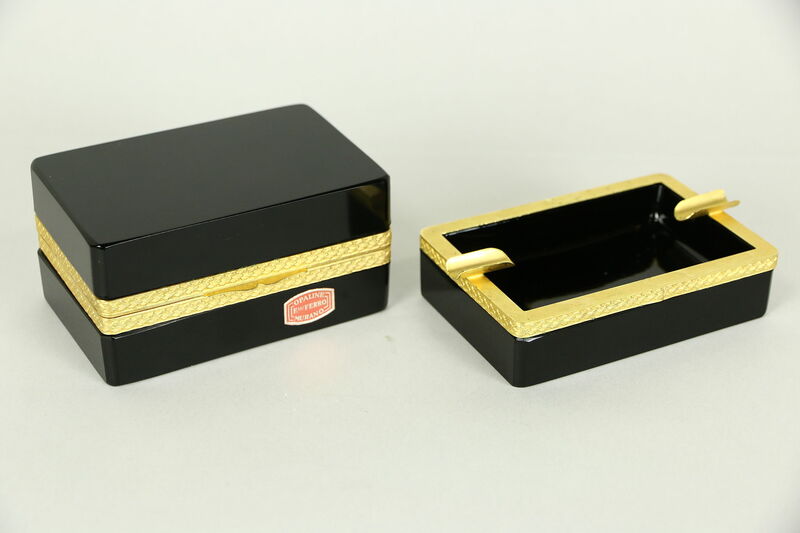 A black glass smoking set with embossed gold plated mounts has an original label, "Opaline, Murano, F. Ferro." Murano is the famed glass blowing island in Venice, Italy. This vintage set is undamaged, the cigarette box is 4" wide, 2 3/4" deep and 2" tall, the ashtray is 4 1/2" wide, 2 3/4" deep and 1 1/4" tall. See 15 photos that enlarge to full screen size.